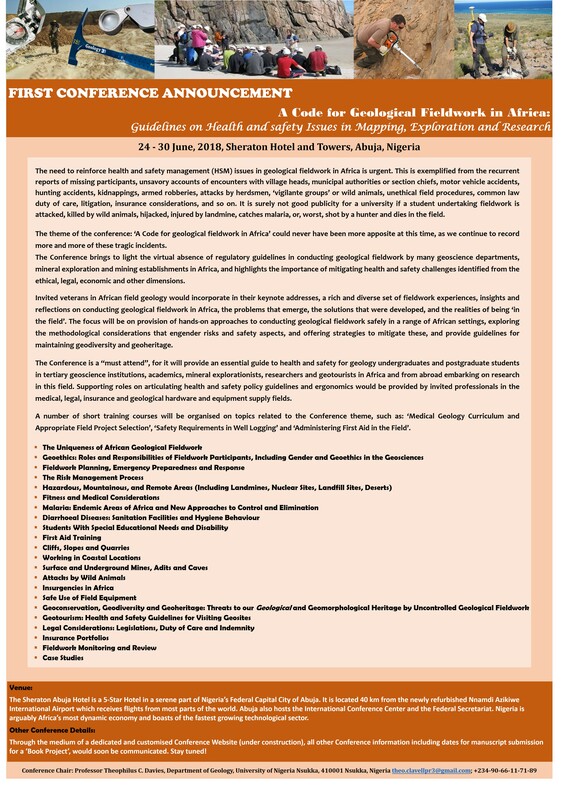 CONCEPT NOTE Conference Title: A Code for Geoscientific Fieldwork in Africa: Guidelines on Health and Safety Issues in Mapping, Mineral Exploration and Geoecological Research SHERATON HOTEL AND TOWERS, ABUJA, NIGERIA, 24 – 29 JUNE, 2018 The need to reinforce health and safety management issues in geoscientific fieldwork in Africa is urgent. This is exemplified from the recurrent reports of missing participants, unsavory accounts of encounters with village heads, municipal authorities or section chiefs, motor vehicle accidents, hunting accidents, kidnappings, armed robberies, attacks by herdsmen, „vigilante groups‟ or wild animals, unethical field procedures, common law duty of care, litigation, insurance considerations, and so on. 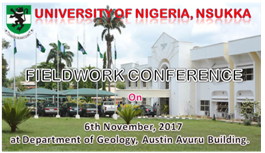 It is surely not good publicity for any university if a student undertaking fieldwork is attacked, killed by wild animals, hijacked, injured by landmine, catches malaria, or, worst, shot by a hunter and dies in the field.